Renters Insurance - Protecting Your "Stuff"
Renters Insurance will pay to replace any property that is stolen, damaged, or destroyed by a covered incident. This includes electronics, clothing, furniture, jewelry, and much more. Your belongings are protected even when you are away from home. So, if your laptop is stolen from your car or your bike gets taken from the rack at work, your renters insurance will pay to replace them. Do I Need Renters Insurance If My Landlord Has Insurance? Yes! Your landlord’s insurance only covers damage to the building and property. It won’t pay to replace your stuff and it won’t cover relocation expenses should you need a place to stay while repairs are made. I Don’t Have Much Stuff. Do I Still Need Renters Insurance? You probably have more stuff than you think. What would it cost to replace all your clothes, from socks and underwear on up, new at the store? Your furniture, computer, TV, electronics, and grown up toys? It is a good idea and easy to document everything you own along with its estimated value. This inventory will be extremely helpful if you need to file a claim down the road, helping you to get your belongings replaced faster. An easy way to do an inventory is just to use your camera phone to video around your home or apartment. As you record, you can open drawers, move items around & describe them. Of course, the easy way to do this is to have a friend help you and then you can go over to their place and do the same. Then each of you can store the video for each other. Call us today to get your renters insurance quote. Replace your stuff – if anything you own (furniture, electronics, clothes, etc) gets damaged or stolen. Be ready for mishaps – if someone sues you for accidental damage to them or their “stuff”. Living Expenses – if you must move out while your place is being repaired, you hotel stay and meals are covered. If you rent an apartment, condo, house, dorm room, whatever, you need renters insurance. We represent a number of companies that offer affordable coverage. Policies offered from Safeco, Progressive, Foremost, and others. Insure your stuff in your apartment or home or just the room you rent. Read our reviews to see that our customers rate us best broker in Washington. Sometimes the cheap, cheaper, or cheapest policy is not the best. 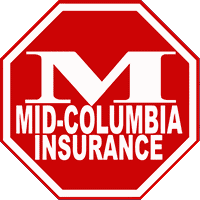 Spanish speaking licensed agents help you shop for the best coverage at a better price. Get a quote from Geico, State Farm, Farmers, or Allstate. Then call us.